With building materials being delivered to site in scheduled timeframes, disorganised and cluttered sites can affect deliveries and throw build programs behind. Placing waste directly into the Jumbobag avoids double handling time, reduces access delays and alleviates manual waste pick ups to help keep your build program on track. With reverse building, smaller allotments and narrower frontages on residential builds, space is at a premium for most builders. Uncontained builders waste takes up valuable space and creates clutter that can impact the safety and productivity of a site very quickly. Trades that generate volumes of heavy waste are able to bag their waste and leave the site as they found it, clean for the next phase of the build. This negates the need for expensive bobcat site cleans, creating cost efficiencies across the job. Jumbocorp provide a fixed cost per site rather than a price per tonne fee, which saves significant amounts on a site waste bill. Jumbobags offer a number of benefits for collecting and recycling masonry off-cuts on residential building sites. Masonry offcuts are placed into opened bags throughout the build. This eliminates large piles of masonry offcuts on site, and frees the site from trip hazards. Jumbobags are collected within 3 working days and masonry waste is taken to a transfer station, sorted and recycled. 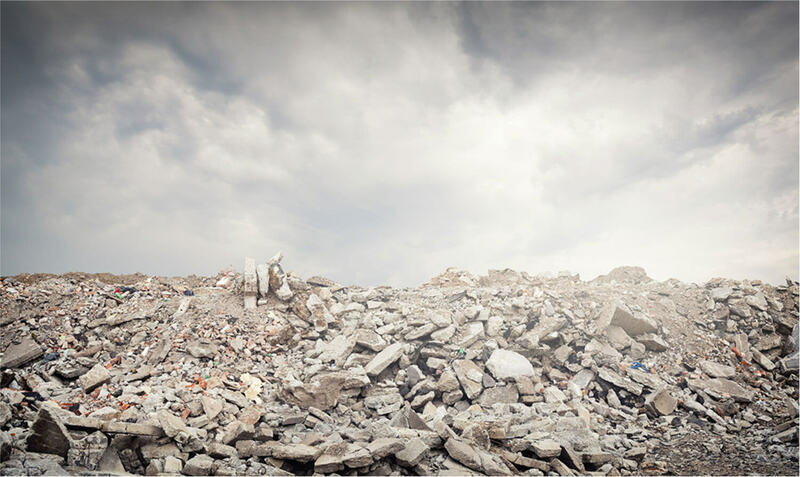 Masonry waste does not therefore end up as part of the total site waste bill, reducing total waste cost for the build. 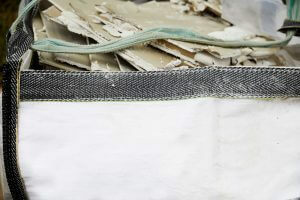 Jumbobags offer a number of benefits for collecting and recycling plaster off-cuts on residential building sites. Plaster offcuts are placed into opened bags as plaster is hung. This eliminates large piles of plaster offcuts on site, and frees the site from trip hazards. Jumbobags are collected within 3 working days and plaster waste is taken to a transfer station, sorted and recycled. Plaster waste does not therefore end up as part of the total site waste bill, reducing total waste cost for the build. USG Boral – Interior Lighting (Vic) has implemented the Jumbobag closed loop waste management system to recover & recycle clean plaster off cuts from residential sites. We have found that since inception, this system has worked extremely well for us and is changing the mindset of our builder customers regarding supply/fit site waste collection. It is quick and efficient and a great new way to manage builders waste; sites are cleaner and tidier meaning everyone’s happy. We used the Jumbobag plaster waste recycling solution during construction of Craigieburn Central (Lend Lease Project) and found the system to be convenient and easy to use. Having multiple new skip bags sitting in our site shed meant we could use them when needed and were never delayed by waiting for skip changeovers. And because we had them folded out on pallets while being filled, we could pallet jack or fork them around site so they were closer to the work meaning less labour time in getting plaster waste long distances to the general skip. Quick, convenient, easy to deal with and recycling reports provided each month – a big thumbs up.